But beyond that, it is too early to say whether women should try to gain less than the standards call for or shoot for the low end of the recommended range, Oken said. At least the latter course is probably safe, she said. In any case, Oken said, it is too soon to call for a revision of the standard guidelines. Those with a "normal" BMI are encouraged to gain 25 to 35 pounds (11 to 16 kilograms), for example. Women with a higher BMI, meaning they are heavier at a given height, get lower targets, while women with a lower BMI are given a higher range. Oken said it is not clear why greater weight gain in the mother would raise the risk that her toddler would be overweight. She noted that women who have diabetes during pregnancy tend to produce bigger babies who run a heightened risk of becoming overweight later in life. 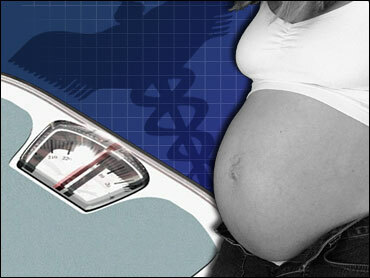 That suggests some factor in the womb can affect a baby's future, she said. Analysis suggested that sharing of poor health habits between mother and child does not account for the outcome, she said. And while the women in the study generally had health insurance and were well-educated, studies of other groups are finding similar results, she said. Lisa Bodner, an assistant professor of epidemiology and obstetrics-gynecology at the University of Pittsburgh Graduate School of Public Health, says the new work adds to previous indications that the IOM guidelines may need to be revised. Bodner, who didn't participate in the new study, called it one of the most rigorous to address the question.